LBD & ONESIES - A Lifestyle Blog: Feast on Eat-All-You-Can Skewers at Bar B Skew! 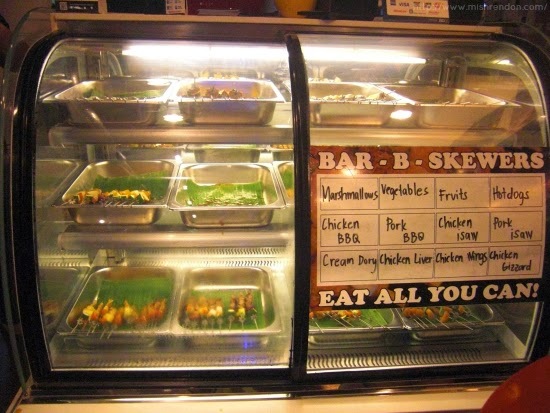 Feast on Eat-All-You-Can Skewers at Bar B Skew! 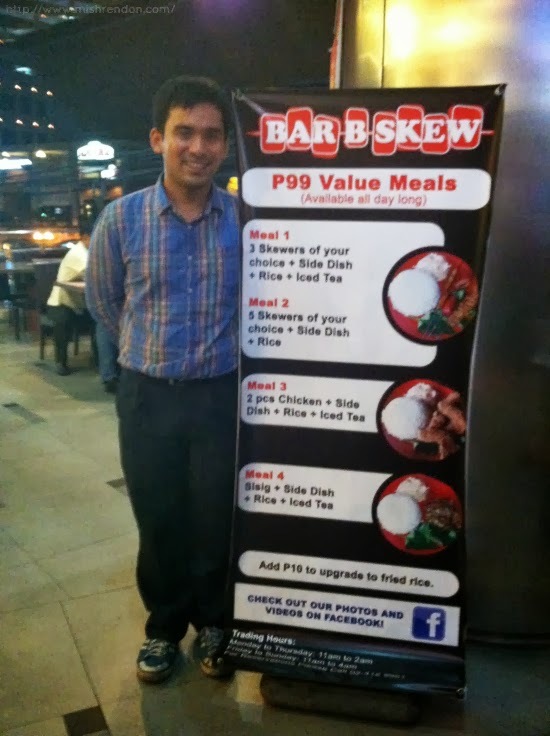 If you are looking for a more sophisticated and fun (not to mention, clean) street food experience, better check out Bar-B-Skew, the latest skew-all-you-can restaurant in Quezon City! Located in CTTM Square at Timog cor. Tomas Morato, you'll surely leave this place full with their eat-all-you-can options. 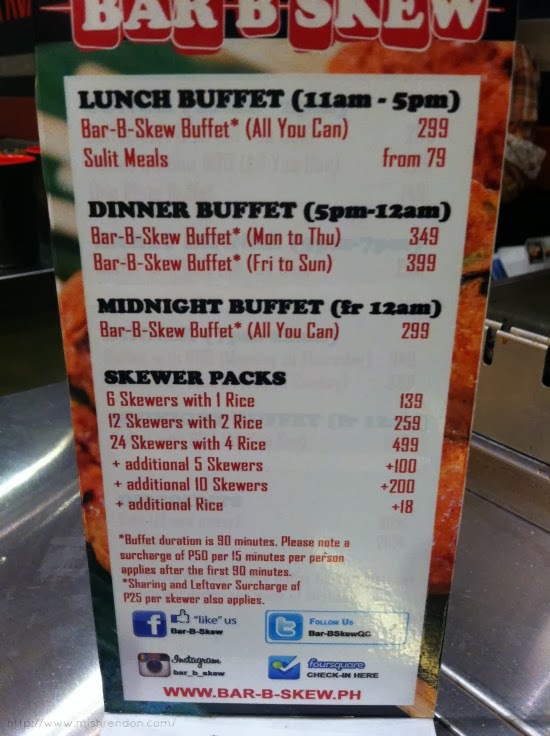 For only P299 for lunch buffet to P399 for dinner buffet (weekends), you could feast on their unlimited bar-b-skewers. They have a huge variety of skewers from good old isaw to marshmallows for dessert. If you'd ask me which one is my favorite, it would definitely be chicken wings! It takes a little longer for the wings to get cooked, but they're worth the wait! Cooking these goodies is easy peasy. 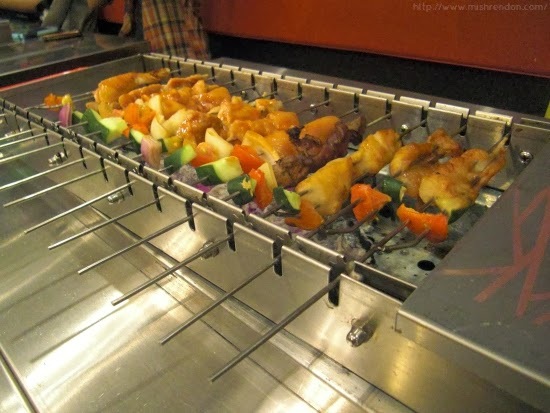 You just put the skewers in the automatic rotating griller permanently fixed on your table. 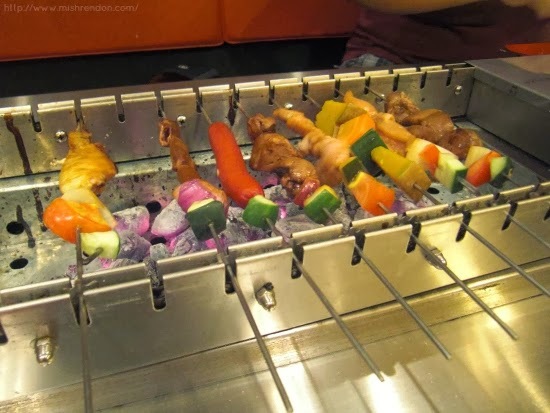 The skewers will amazingly rotate on their own and will cook the meat evenly. 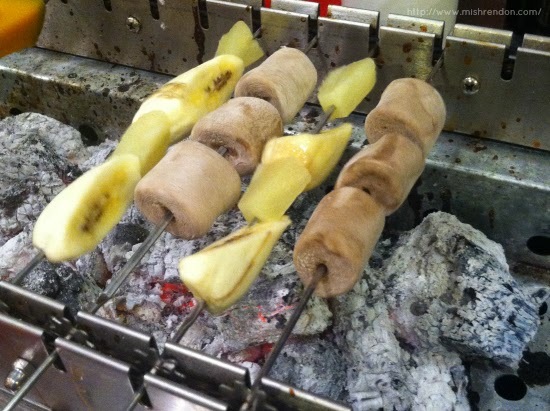 In 2 to 3 minutes (depending on the meat that you are cooking), your skewers are ready to eat! These marshmallows only take a few seconds to cook. Otherwise, they'll melt. They're still yummy though. 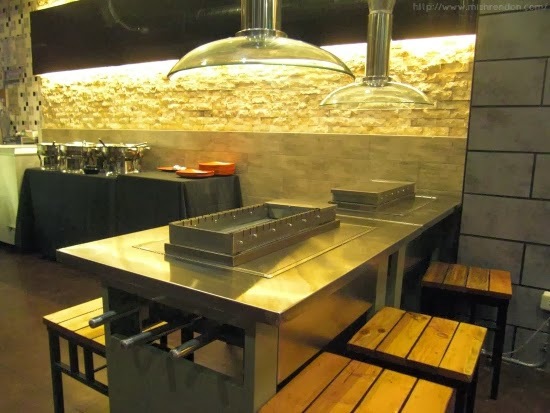 :) Aside from these skewer goodies, they likewise have cooked meals in their unlimited buffet such as fried chicken, sisig, and kangkong to get you started while waiting for your skewers to cook thoroughly. Bar-b-Skew owner, Wero Doma. Thanks for accomodating us!